Submit your business in a popular & high authority business directory. 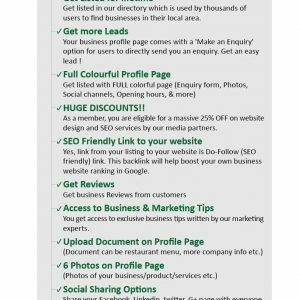 By listing in our directories, you can get traffic, leads, enquiries, sales and SEO benefits. Get Listed in Mediatimes Directory – For Lifetime ! $99.95 $19.95 Get Listed Now!